As a general rule, cell phone batteries are costly, resource-intensive, and difficult to dispose of properly. So why not ditch them and run our cell phones on soda? That’s the thinking behind designer Daizi Zheng’s concept phone for Nokia. 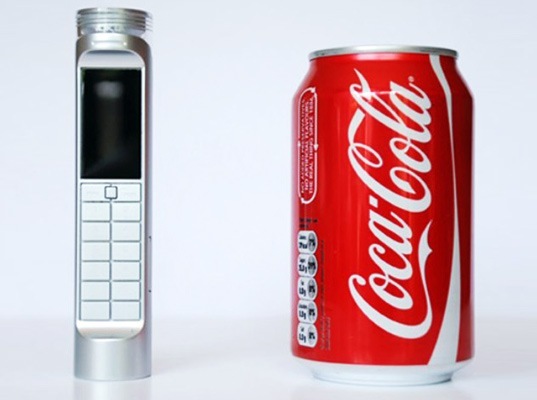 Instead of running on traditional batteries, the concept phone uses a bio battery that generates electricity from carbohydrates. Fuel cells powered by sugar are nothing new — they’ve been in use for years — but Zheng’s point seems to be that we shouldn’t overlook innovative uses for the products we consume everyday. 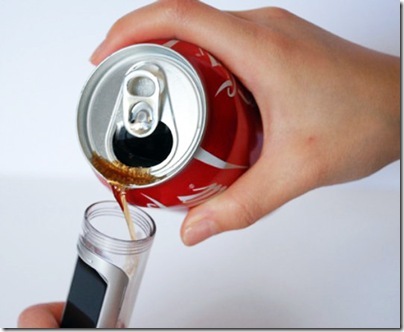 And of course, maybe Coke does belong in a battery more than it belongs in our bodies. It doesn’t hurt that the bio battery can operate for three to four times longer than a lithium-ion battery on a single charge, either. We jut have one question: what about all the energy used to produce Coke? In the end, it probably makes more sense to use plain sugar water as a fuel source — unless it’s your New Year’s resolution to give up on your stockpile of soda.